Travel Security Meets Your iPhone or Android. FoneTrac® is a simple, intuitive and affordable travel security app for employees, business travelers, and/or study abroad students. FoneTrac is a sophisticated travel safety app that can double as a medical travel security app for individuals and business travelers overseas or in the USA. As an employee travel security app, FoneTrac allows employees to keep in touch with our Command Center or their own corporate HQ and also access real-time safety information for countries as diverse as Brazil and the UK, Liberia and Germany. Medical security is available in app format for either iPhone or Android: providing both real-time alerts and access to live people, with the ability to provide assistance in a medical emergency, including deploying local resources. Whether you or your staff are looking for an ideal business travel security app, an app for study abroad students, or a corporate travel security app – FoneTrac – backed by the power of IMG GlobalSecur- synthesizes the power of an app with the information prowess and on-the-ground expertise of a real international security powerhouse. FoneTrac allows business or student travelers to do an iPhone or Android Check-in as often as they want to update their location on the GlobalSecur mapping system. Business and corporate travelers can be reminded to check-in daily, making it an ideal employee security app for overseas travel. FoneTrac locations are monitored at a command center and the app can even be a panic alert app for employees or study abroad students. If a situation develops, the international security app, can alert the business, individual, or student traveler and alert the corporate or university home base. Indeed, FoneTrac is more than just one of the best travel security apps for iPhone and Android: its backend leverages amazing information and it can access real people with real on-the-ground security expertise. 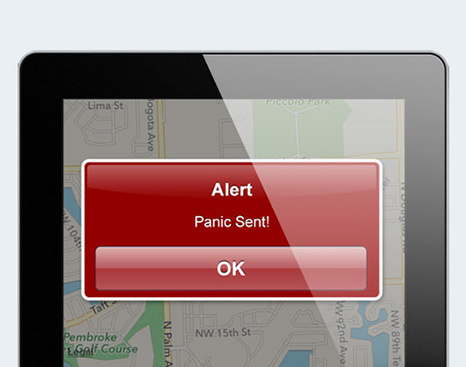 FoneTrac users can quickly send a Panic Alert from anywhere in the world. Unlike simple panic alert apps for Android travel and iPhone travel, FoneTrac has a sophisticated back end with both information and real people assistance for on-the-ground support during a true panic attack. Don’t be fooled by cheap imitations that lack the sophisticated back end required to mitigate a dangerous overseas situation! Enterprise licenses are available for corporations, universities or colleges, and NGO / non-profits who have employees or students abroad. Safe business travel is made possible by this sophisticated app. Individual licensees are also available for business / corporate travelers as well as study-abroad students. Unlike travel itineraries, FoneTrac® can tell you the traveler’s exact location. Built-in contact numbers provide direct connection with experts for advice and guidance on any security issue. Our location monitoring helps provide a timely emergency response for your travel safety needs. Travelers need only to open the app and press a button to check-in or send a panic alert. Get emergency assistance on the go. FoneTrac® is easy to use for quick travel safety assistance. We have been an IMG GlobalSecur client for a number of years and started using FoneTrac two years ago. We now have 100% buy-in and use of this service by our international travelers. A useful tool to improve travel safety. This is excellent! I can’t wait to get this deployed company wide. and I can get help if I need it. Dependent on your needs, FoneTrac® can be interfaced with a US-based, multi-lingual, 24/7 Emergency Response Center to enable cutting-edge security protection and support. A host of other services stand ready to provide safe business travel and personal security for travelers / students by providing you or your travelers with advice or a security or medical reponse. FoneTrac is user driven – we don’t monitor your location continuously. 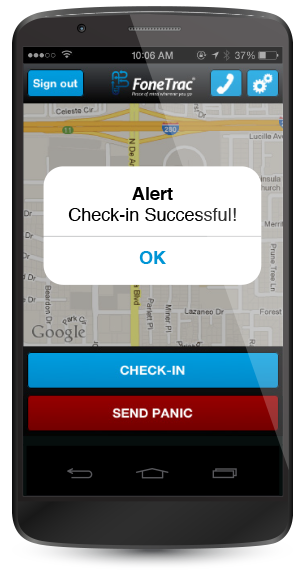 We are only aware of your exact location each time you press the “check-in” button or when you press the “panic alert”. However, we do monitor your exact location continuously when you press the “panic alert” so we can help you in an emergency (until you shutdown the FoneTrac app or phone). 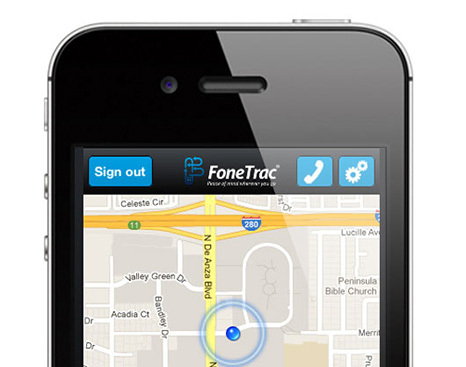 FoneTrac® offers many great features (such as Check-In and Panic buttons) and works on any iPhone or Android device. No additional equipment is necessary. Simply obtain a subscription, enroll in GlobalSecur, download the app, login and you’re ready to go! Enterprise licenses are available for organizations both large and small interested in enhancing the safety and security of their travelers. Individual licenses are also available for students studying abroad. Make safe travel simple by using FoneTrac® travel security assistance.